I can't take all the credit for Sainsburys FINALLY getting their clothing range online but I like to think I played a small part because every time I met someone from their head office at events, I badgered them about the lack of an online shop. It just didn't make sense that a business of their size and scale couldn't make things easy and convenient for their core market - busy mums who either have kids with them in-store (hindering the shopping experience!) or only get a chance to shop outside of traditional trading hours. 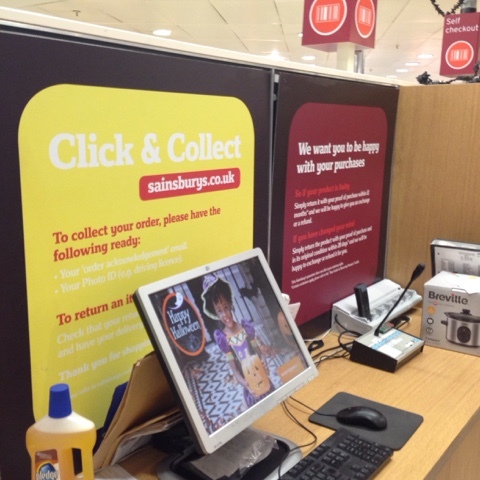 Anyway, hats off to Sainsbos - the site is now live and I was privileged to be given the opportunity to road test the online offering and the click & collect option from my nearest store...which is free of charge for all orders over £15. 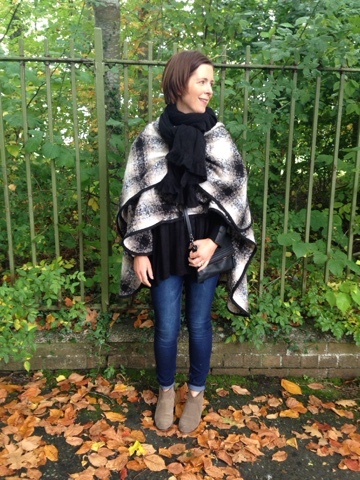 Starting with a cape - this one has sold out once before and had just come back into stock last week. I tried it with and without a belt but preferred it without. 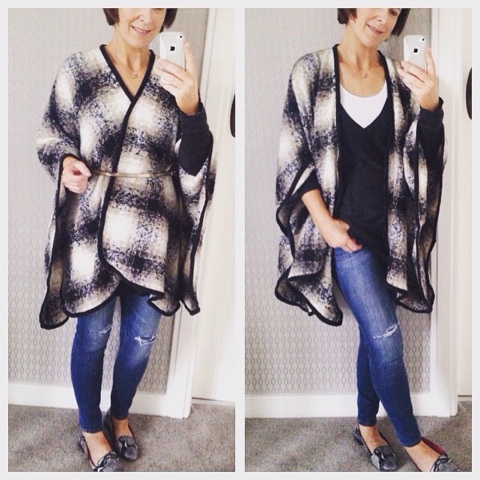 Capes are a tricky one - you'll either love them or hate them but if you can get over the slagging from the men in your life making Clint Eastwood jibes, they are fabulous for this time of year and are very on-trend. This is a complete bargain at £16 so perfect for trying out the trend if you're not sure. Next up - the coatigan and I was so excited about this and can confirm that the tags were off within minutes of trying on. 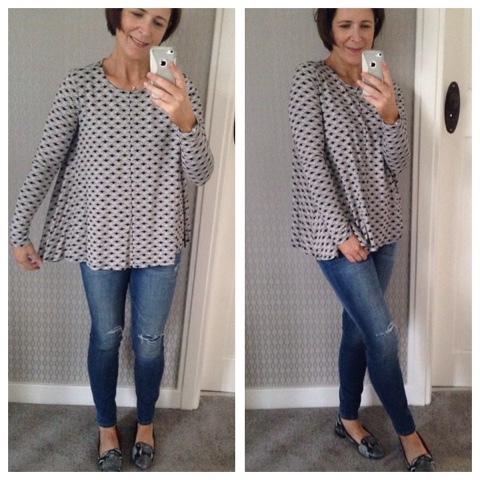 Just a fab colour way (also available in a blue version), great weight, goes fab with grey and is wonderful for throwing on to go out or just to lounge around the house in the evenings. It's reminiscent of a Zara one that sold out a few months back. Also in these photos, you'll see the burgundy cross body bag that I ordered on a bit of a whim. I'm not a fan of non-leather bags but the colour and shape of this grabbed me and I decided to try it, fully expecting to send it back but I'm going to keep it. Just adore the colour and the dinky wee shape of it. 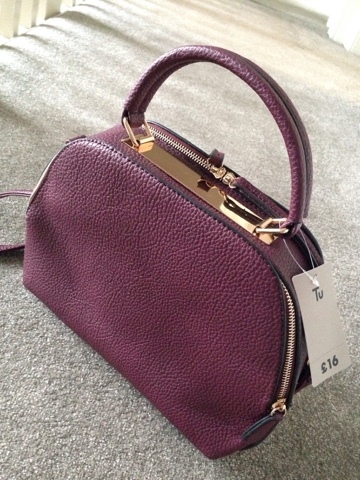 I don't have a burgundy bag so it's a great addition to the autumn/winter wardrobe. 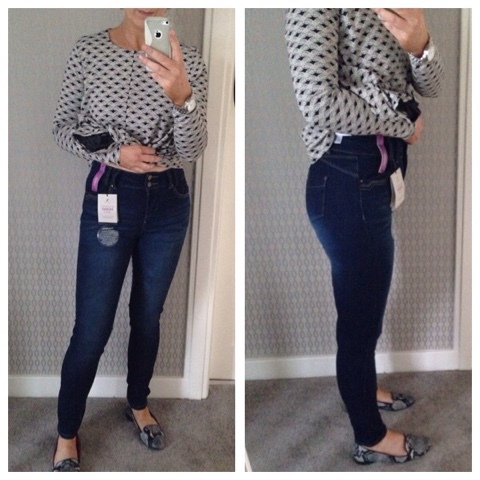 The next successful piece were these skinny jeans and listen up if you're a pear shape - they are the BEST pear-shape jeans I've ever come across. Seriously impressed with them and have ordered the black also since trying these on. They're high waisted but not ridiculously so and they fit me absolutely perfectly on the waist and the hips. The 10 fits me so I'd say they're a bit on the generous side - size down if you're in-between. I also picked up this swing jersey top fully not expecting to keep it but it's great. 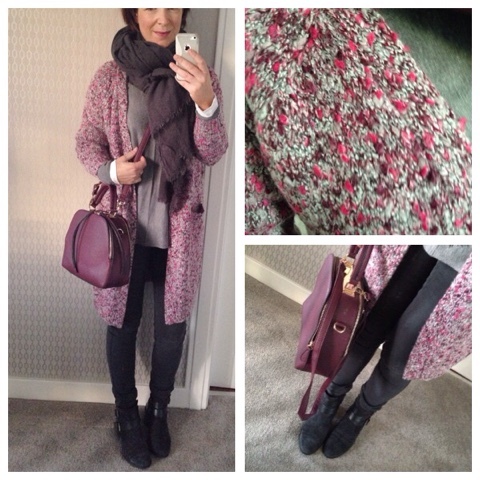 A lovely fit in the 12 and a great layering piece with a cute pattern. 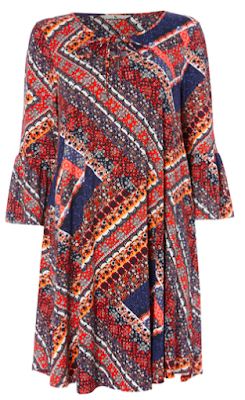 Finally - one item that's going back...this boho inspired dress which just isn't me. I didn't try it on as it was huge (size 12) & too long for me (seemed much longer than it looks on the online model). I do think on someone taller, it would look fab with a long cardigan, long boots and a belt. With both navy and black in the pattern, it's really versatile. So I was happy with all but one of the items I ordered - I think that's a result. Plus, I've now got 5 items that are going to work really hard in my wardrobe over the next few weeks and months. All for less than £90. 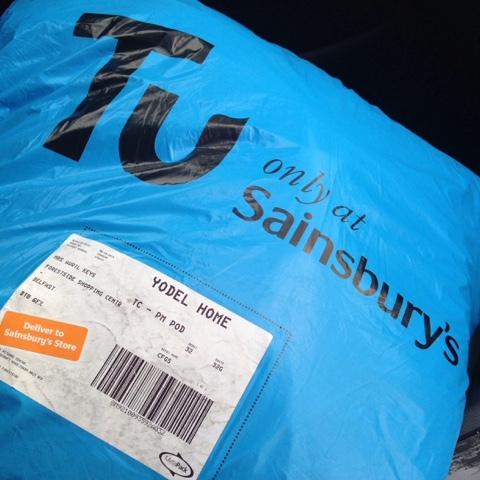 In terms of the click & collect experience, I ordered my items on a Thursday night and got a text on Saturday morning to say they had arrived at my local store. Collection was simple and hassle free at this store and the items were well packaged and on hangers. 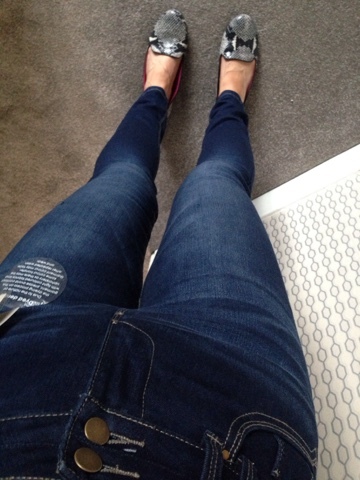 I've since ordered the black jeans on named day delivery costing £4.95, which I feel is a great price to guarantee when your item will arrive. I'll report back on this tomorrow - also on whether the fit is the same between the blue denim and the black denim. If it is, the black ones are getting a trip to the USA next Wednesday! UPDATE - the black has arrived and the fit is virtually identical - very happy with them and also with the named day delivery which arrived as promised. Disclaimer - Thanks to the team at TU Clothing at Sainsburys for giving me the opportunity to try out the new range and the new online website. I was given a voucher to spend on my choice from the range. I was not paid or obliged to blog about it and all the words are my own. As always, thanks for supporting the brands that support this blog. 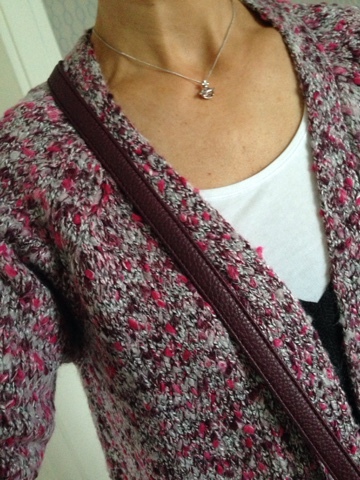 About time too and I'm so chuffed you've road tested that cardigan (the pink one) it's ACE and I will be buying too! Great post, loving everything here. I've just ordered the coatigan in the blue as it will go with so many things in my wardrobe, can't wait to try it, hope it looks as good as it does on you.